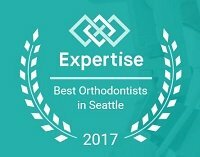 Providing quality orthodontics to the Greater Seattle area since 1967. Nelson Orthodontics has changed over 7,500 lives as a Seattle orthodontist. If you wish to have a straight, beautiful smile, we have modern treatment and technology to achieve gorgeous results. Schedule a FREE consultation with us today! From early morning appointments to online payments, we do what it takes to make your orthodontic appointments convenient. You can manage your appointments and billing on our secure software. Click the button below to log in. No smile is ever the same. That's why we offer a wide range of orthodontic services to work within your needs. From Invisalign to self-ligating braces, we stay current with the latest technologies to provide you with the best care possible. Dr. Nelson received his B.A. in Economics from Brigham Young University and his DDS from the University of Washington. Following dental school, he completed a General Practice Residency at the V.A. Hospital in Salt Lake City, Utah. 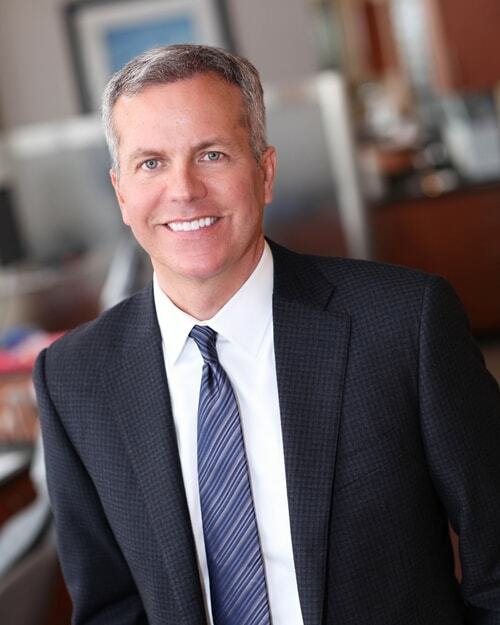 Dr. Nelson then completed graduate studies in orthodontics at the University of Washington, where he received his orthodontic certificate and Master’s degree. When not working, you can find Dr. Nelson spending time with his wife and four sons. Today, orthodontic treatment is simple, convenient, and affordable for patients of all ages. Constructed from high-grade stainless steel, today's metal braces are lighter, more comfortable and more attractive than ever before. Ceramic braces are made from a translucent material and are most popular among adults because of their almost invisible cosmetic appeal. The Herbst appliance is used to treat overbites by encouraging the lower jaw to catch up in growth, while not hindering the jaw movement. A series of clear aligners custom crafted by computer simulation gently guide misaligned teeth back into position. Invisalign in Seattle is available to adults and teens. and the STRAIGHT facts about treatment. "I'm too old for braces!" Teeth can be moved at any age. Esthetic options such as clear braces and Invisalign can create the smile you’ve always wanted without putting your professional or personal life on hold. In our office, approximately 25% of our patients are adults. "Braces take way too long." Recent advances in orthodontic materials and methods have significantly reduced treatment duration. For many adults, orthodontic treatment can be completed in as little as six months. While orthodontics is an investment, it doesn't have to deter you away from getting the treatment needed to have a healthy, beautiful smile. First of all, dental insurance does have orthodontic coverage to help make treatment more affordable. At Nelson Orthodontics, we do accept most insurance. On top of that, we offer flexible no-interest payment plans and family discount plans for those who qualify. It gets better: Your initial exam and recall (monitoring) appointments are on us! If you have any questions, call us at 206-784-5372 or email us at info@nelsonsmiles.com. We're standing by and ready to answer any of your questions. "Crowding will get better as your child grows." In most situations, crowding increases over time. This is because teeth shift forward over time and most permanent teeth are wider than the primary teeth that are replaced. Typically by age 7 or 8 an accurate assessment of future crowding can be made. That is the age we recommend that a child be seen for an initial orthodontic evaluation. When braces are first applied some slight discomfort can be expected as gentle forces begin to move the teeth. This can be easily managed with Advil if needed. After the first couple of days, the teeth adjust and the mild discomfort subsides. "Orthodontists only offer metal braces." That's not true! Dr. Nelson has endured many years of continuing education and training to use all the best tools and techniques available for the Greater Seattle area. That includes metal braces AND clear options. At Nelson Orthodontics, we offer cutting-edge orthodontics. Ceramic (clear) braces and Invisalign® are some of the convenient options to help you smile faster and comfortably. What is Invisalign®? It takes a fresh approach to straighten teeth by using a series of clear aligners explicitly crafted for you. These are aligners are smooth, comfortable, and can be removed for your convenience. By wearing these aligners 20-22 hours a day, it can comfortably move your teeth to the appropriate positions - no brackets, no wires. Want to learn more about this orthodontic option? Visit our Invisalign® page. 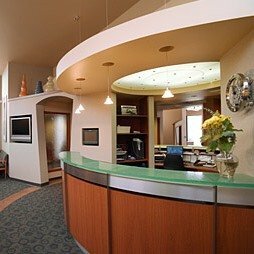 Nelson Orthodontics offers individualized services to meet the unique needs of each person who walks through our doors. 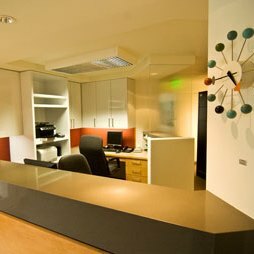 With two convenient locations in Ballard and Magnolia, Nelson Orthodontics is your preferred choice for a Seattle orthodontist. From early morning appointments to software that makes your life easier, we have it all. The latest in digital radiography and cutting-edge orthodontic treatments. Proudly providing quality care in a fun, efficient environment since 1967. We warmly invite you to call, email, or visit us at either of our Ballard or Magnolia locations.